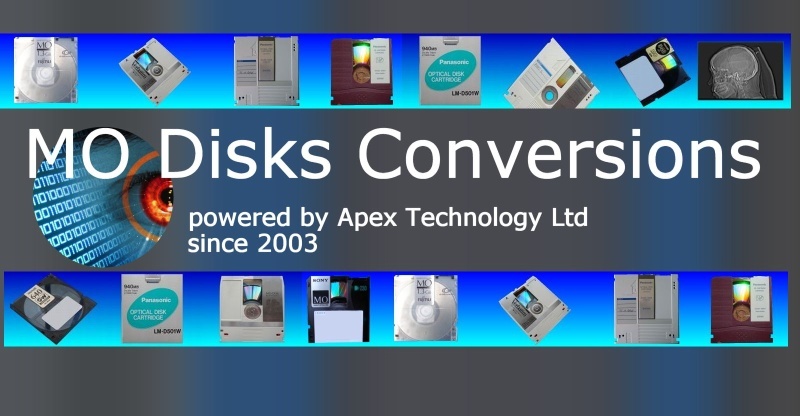 MO Disks need converting? Our friendly team is happy to help transfer your Magneto Optical Disks (MOD's) to recover the data even when unknown software or file-system was used to write data to the disks. We have handled many different Optical Disks & Magneto Optical Disks (or MOD). We can transfer files even when none knows the filesystem used to store data and the disk is not recognised by the computer system. They include Optical Disk Jukebox Library Auto-Changer transfers to Hard disk drive (HDD). We also make custom solutions using in-house programming to aid migration of file data out of old scanner and electronic document storage imaging management systems (ED, EDMS, DP workstations) to the exact client requirements. This is usually to enable total disposal of the old system to a more generic easily accessed system from regular Windows PC or Mac computer. It removes the expensive Maintenance / Service costs which the old system required, to a cheap easy do it yourself system. We can convert them to a more easily handled format by modern computers eg PDF, TIFF, Microsoft Word, Excel saved on DVD CD Hard Disk etc. Disk types include WORM, CCW, CC Format WORM, and Rewritable Cartridges. We receive many requests to read disks and transfer the data to new hard drive or Network storage systems. Some typical file transfer requests are below. DICOM medial images stored on about 700 Magneto-Optical disks which need saving to a USB hard drive to import into out Document Management system. Transfer files from 1.4 GB Magneto Optical Disks used back in the late 1900’s and early 2000’s before they were replaced with UDO disks. Nobody knows which software and file system was used to write data onto these disks. The only thing I know for sure is that Plasmon LF-7300 drives were used. Can you help to read files from these optical disks? Recover data from plasmon disks 9.1 GB part of a duke box system, Plasmon G Series PCI\SCSI which does not operate anymore. Click for MO Disk Transfer & Data Recovery News. Click for MO Disk Transfer & Data Recovery Reviews. When we read Magneto Optical disks, we make what is called a "disk image" or "dd" file - which is a "bit by bit" copy of all the RAW data on the disk. The disk image is basically a sector by sector copy of every bit of data (ie. includes old deleted data) on the disk, not just the area occupied by files. We use this to extract the files, but also it makes an excellent archive copy of a disk which is useful for data recovery purposes as it includes areas where deleted files may still reside. Even if we cannot crack the filesystem, the disk image is an excellent way to archive all disk data (easily stored and moved and easily sent to others for filesystem analysis as they no longer need the hardware MO drive to access the data. When we do disk conversion work we always send the client a disk image as well as the extracted files. 3M ALPHATRONIX ATG Sony Fujitsu Hewlett Packard HP Hitachi IBM Imation Kodak KOMAG MaxOptix Maxell Panasonic Philips Pioneer Pinacle Media Plasmon Fuji PDO Media Rigidata Teijin TDK Verbatim, Fujitsu Dynamo Gigamo 2.3 GB Write-Once MO WORM Disks Overwrite MOD. Disks from Optical Jukeboxes and Drives. Magneto-Optical disks were originally 5.25" or 130mm. They look like the old style dvd cartridges with a cd inside. The data is recorded on both sides of the disk and the disk has to be turned over to read the other side. 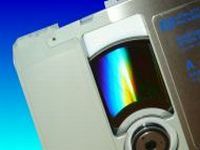 The disk reflective coating can be seen by pulling back the aluminium slider. The recording is made by a laser heating the disks magnetic layer so altering its magnetic state. 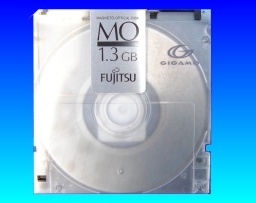 The 130mm MO Disks are often employed in company document management storage and retrieval systems. Optical libraries automate loading and storing of the disks. and may hold 16 or more disks and connected by SCSI to a host computer and incorporates archive software to store indexes of data and select disks. Popular uses were for legal document storage and medical imaging. 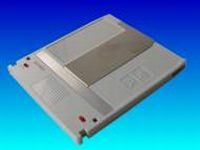 Maxoptix is a major manufacturer of 130 mm or 5.25" magneto optical drives. 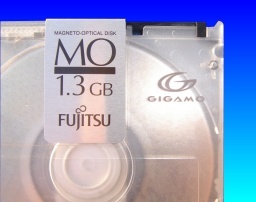 The 90mm 3.5" inch MO discs were more commonly used by consumers. They look like a thicker version of a 1.44MB floppy disk. Vendors were initially NeXT and Canon followed by Fujitsu, Sony and PDO Konica Minolta. Fujitsu and Sony expanded the GIGAMO Standard to 2.3GB. Gigamo was supported by Olympus Optical, Konica Teijin Hitachi Maxell Mitsubishi Ritek, Shima Seiki. The Gigamo products were used for high-speed file backup for commercial systems such as telephone switches and Automated Teller Machines, and for storing and working with digital video and photos. They were popular with Apple Mac users. Also legacy systems data transfer. We have handled many proprietray file system storage applications and extracted the data to more modern media for access by Windows PCs, Macs or Network storage. 470MB 940MB 1.4GB 1.0GB 1.5GB. 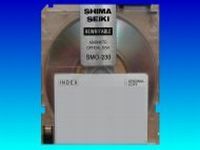 Sony SMO-D501-21 Internal 650mb 5.25"
EDM-650C MO-disks (5.25" , 1024 bytes/sector , double-sided , rewritable , 650 MB , cartridge-type). We have received an increasing quantitity of these disks as they near end of life and start to show signs of wear. Do not attempt disk scans or automatic repairs under windows as this has the effect of deleting files and folders that cannot be read properly - simply amail or call us for a quote to recover the disk as soon as possible. The less that happens to it the better. Verbatim Sony Maxell Fujitsu TDK Imation Hewlett Packard HP MaxOptix Optimem, Sharp, Cygnet, DISC, NKK, Fuji PDO Media Teijin IBM, Panasonic, Dynatek Pioneer, Kodak, Laser, Magnetics, Wang, Ricoh, Plasmon, Pinnacle Micro, Hitachi, Canon, ATG, Toshiba, LMSI, Niko. Magneto Optical MO Disks Conversions, Transfer Files, Data Recovery problems that we recover data from are listed below. mo files transfer unknown unrecognized not recognized filesystem read copy magneto optical disks 5.25 inch 3.5 9.1gb dicom MOD document management storage system. We convert MO disks and transfer files for unknown filesystem. Magneto Optical Disks,Disk Library auto-changer jukebox,WORM,Write Once,Sony,HP,Maxell,Verbatim.